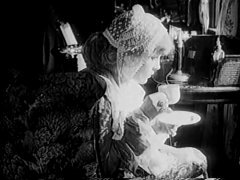 "Crossed Wires" (A Telephone Tragedy) is a short crime drama included in our program to illustrate the work and contributions of our star Florence La Badie. 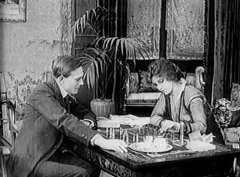 An innocent man is accused of premeditated murder. 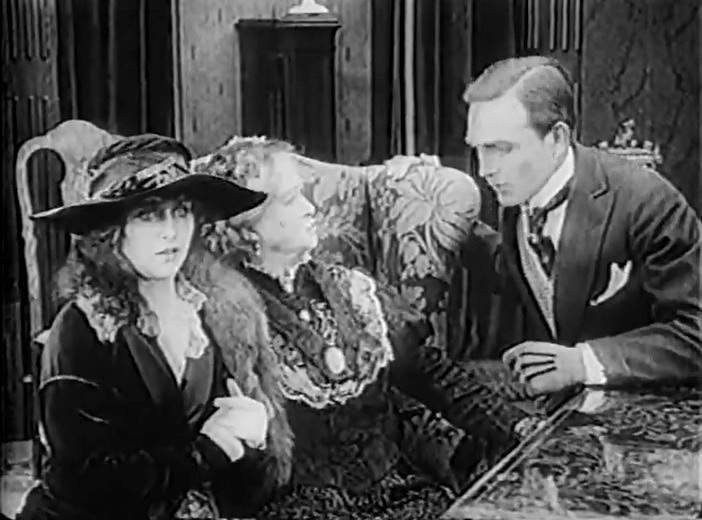 Florence La Badie worries as her aunt and brother have an argument in "Crossed Wires" (1915). 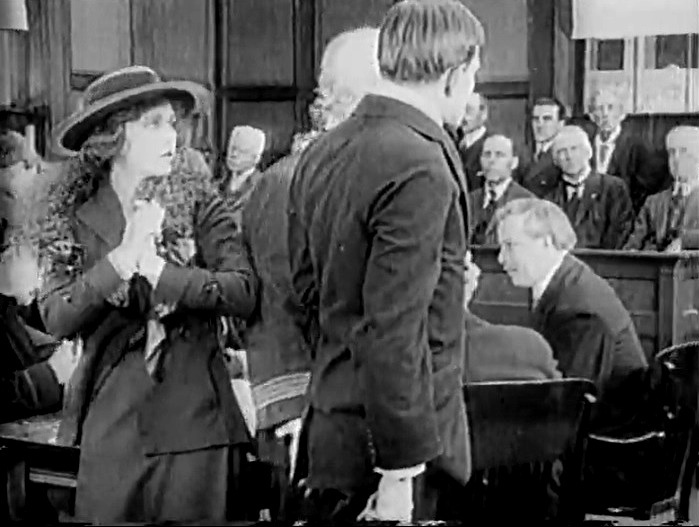 Florence La Badie tells her brother that he was wrong in "Crossed Wires" (1915). Florence La Badie seems poised to checkmate her brother in "Crossed Wires" (1915). 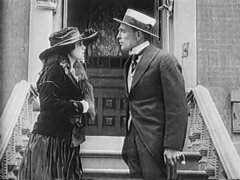 Florence La Badie tries to console her brother in "Crossed Wires" (1915). Florence La Badie is disconsolate as her brother is taken out of the courtroom in "Crossed Wires" (1915). 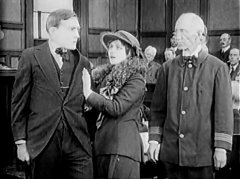 Florence La Badie gets some male attention in "Crossed Wires" (1915). Florence La Badie likes some male attention in "Crossed Wires" (1915). 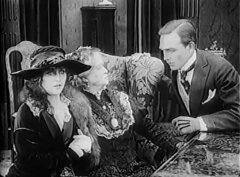 Florence La Badie plays the part of her late aunt in "Crossed Wires" (1915).